Are you Planing to a the 200cc version of this bike?? thanks! [quote]sir, where is the shop located? or do you have contact number?? I'm really interested in getting one phoenix125.. sure buyer.. where can I get a hold of your contact details? please reply..
sir, where is the shop located? or do you have contact number?? 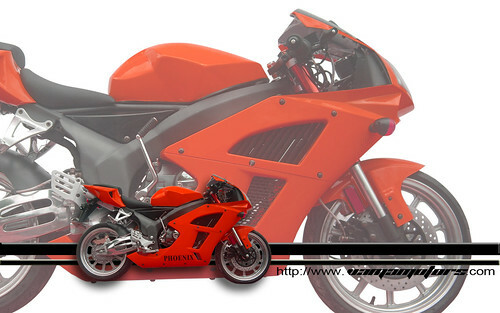 I'm really interested in getting one phoenix125.. sure buyer.. where can I get a hold of your contact details? please reply..
our showroom is located at F & E Mantaring Bldg Hi-way Tipolo Mandaue City Cebu..
yes were planning to have a 200cc version but we dont have a date yet, when it will be released. pwde man. amo man gi lower among down payment to 15,800. So if 25k ang imu i down then 36 months, then Php 3,797.57 per month. of course, mu agi gihapon ug C.I. like sa uban namu customers but it usually it only takes a day lang. Visit lang the showroom if you have decided na. is it p0sible 2 buy parts of this bike? Like the double disc r0t0r and the caliper with brake master n hose? Because a friend of mine wants to buy 1 set for his belletza.. If posible, h0w much wil it c0st? yes engine parts are available at the local market while the body parts are available at VAMA. kad2 nu coming nga 250cc version... single cylinder bah?? wen maabot nu higher versions sa bike..?? nagduha2x ko gd.. if i'll have a 125cc or a 200cc or higher f naa pa higher version sa phoenix.. money on hand sir..
-sir pwd na d lng mi mag PDC? we are realy interestd in having one of your phoenix bikes. yes, engines coming from china are single cylinder 250cc below. 150cc and 200cc will surely arrive this November. We highly recommend the 125cc because of fuel efficiency. sir post dated check is one of our requirements. But we can recommend you to open a checking account in PNB Lapu-lapu since we have an arrangement with PNB. we referred the matter to our management, as for now that is the company policy. hi Newbie here from Manila.. I would like to ask, if the phoenix and belletza is the same? And do you have dealers here in metro manila..
And more power to Vama..
yes, PHOENIX SFP-125 2009 and belletza are the same..PHOENIX is the latest model.